When we first discovered Z-Gel (a well kept secret amongst doctors in it's homeland, France) we knew exactly the person to trial it for us; my self confessed hypochondriac husband to be Caspar. We knew it would be good, but it's always nice to get confirmation! 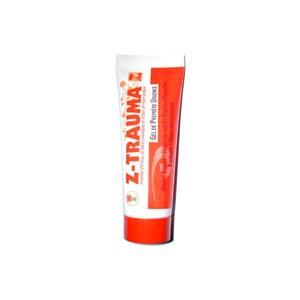 Z Gel combines traditional healing herbs such as calendula and arnica with Bach Flower Essences to take the edge off minor shocks or traumas making it a perfect all-round holistic natural first aid remedy. A must for every earth mother's first aid kit.